Garam means hot in Hindi, so garam masala means hot masala. Masala basically means a mixture of spices. A masala can either be a combination of dry roasted spices or a paste (such as tandoori masala) made from a mixture of spices and other ingredients like ginger, garlic, onions etc. It is used to add spice and flavor. Garam masala is mostly used in Northern Indian cooking. The name is misleading since the recipe does not contain any chillies. The heat in the name refers to spices that generate internal heat in your body – namely black pepper, cardamom, cinnamon and cloves. The theory of heating and cooling food is ascribed to Ayurveda, an ancient form of Indian medicine. I was under the assumption that garam masala was only used in Indian Cooking. Searching on the internet, I found that garam masala is also used in Iranian cooking. It is linked to a Persian spice blend known as advieh, which means “medicine” in Arabic and presumably originated as a mixture intended to improve the medicinal qualities of food, as well as the flavor, according to Margaret Shaida, author of The Legendary Cuisine of Persia . Garam masala has its own interpretation in every northern state. Julie Sahni’s cookbook Classic Indian Vegetarian and Grain Cooking lists a few variants by region – Garam Masala (classic master recipe below from Punjab region), Gujarati and Marathi garam masala. 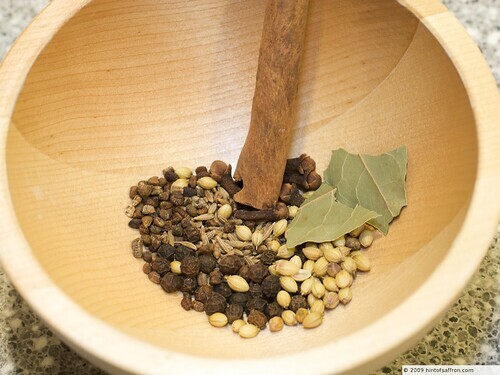 Yamuna Devi lists various garam masala recipe from different regions of India – Delhi, Rajasthani, Gujarati, Punjabi, Maharashtrian (Marathi), Bengali and UP. The recipe below is from Julie Sahni’s cookbook. 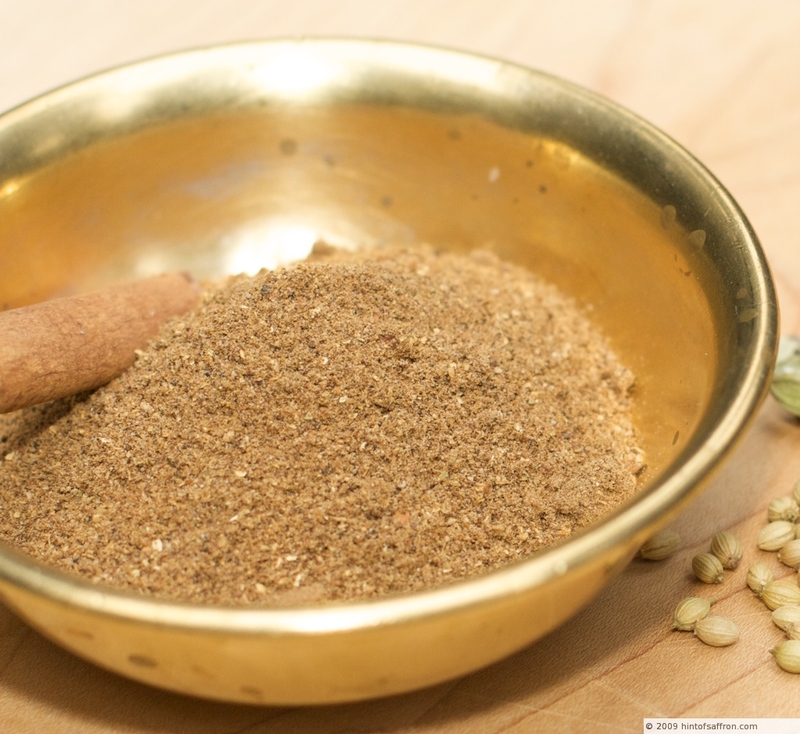 Garama masala is always added at the end of cooking to enhance the dish with a gentle aroma. I encourage you to make the spice mixture at home instead of buying it in a store. The one in the store is tasteless and stale. It does not have any aroma either. The recipe below is very easy and well worth it to make it at home. It can be stored in a cool, dry place in an airtight container for a 2-3 months. Heat a heavy frying pan fr 2 minutes over medium-high heat. Combine all the spices (except the mace) and add them to the frying pan. Dry-roast them, stirring and turning them constantly, until all the spices are several shades darker. They should be done in approximately 10 minutes or so. They will exude a spicy and fragrant aroma. Transfer the roasted spice mixture to a plate to cool it down. After the spices are cooled, grind them into a fine powder using a spice grinder or coffee grinder. Add the mace to the mixture and mix well. Store in an airtight container in a cool, dry place. It can be stored for up to 3 months or so.